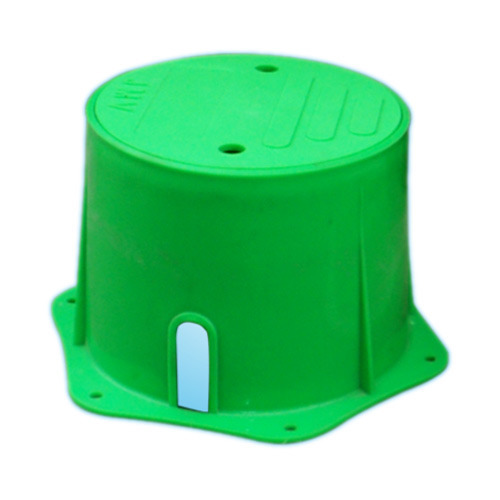 We excel in offering a wide range of Grounding Pit Covers. Our devices are acclaimed for their rough and tough usage and high tensile strength. Owing to its unmatched quality, robustness and rough and tough usage, these covers are extensively preferred by various numbers of clients. Our devices are admired for their high tensile strength and uninterrupted performance. GRS Industries is a name renowned for its technologically advanced products, reliable business dealings and providing cost effective solutions. The company was founded in 1980 as a sole proprietorship owned firm and is involved in manufacturing, exporting and supplying a wide array of Lightning Protection System, Surge Protection Devices, Earthing Components, Lightning Protectors, Earthing Electrodes, Pit Covers and many more. Each product is designed with perfection by our skilled experts and keeping the specific demands of clients in mind. In the development of above mentioned products, we utilize quality raw material, which enhance the durability as well as efficiency of products. Advanced manufacturing techniques are adopted to improve our manufacturing capacity and the existing range of products. Through this, we have been successful in accomplishing the upcoming customers’ preferences. Apart from this, ethical policies, transparent dealings with customers and assurance to make timely delivery of the products are some other important factors, which have made us the reputed name in tough market competition. Our export markets are Saudi Arabia and Nigeria.